I caught up this week with three films that are circling in awards season this year, but are only just now being screened for London critics. 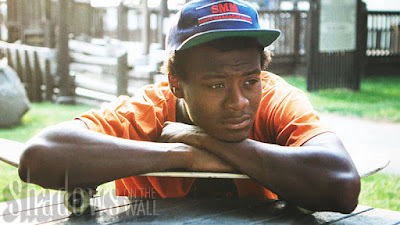 The documentary Minding the Gap is a provocative look at three childhood friends in Rockport, Illinois. It's relaxed, entertaining and darkly moving. A more artfully poetic doc, Hale County This Morning, This Evening explores similar themes, focussing on young men who dream of escaping their close community in rural Alabama. It's sumptuously shot, and remarkably introspective. And the Italian drama Happy as Lazzaro is a masterful fable about how humanity hasn't really changed with modernisation. This is told through the magical tale of an engaging young farmhand who simply never has a mean thought in his head. 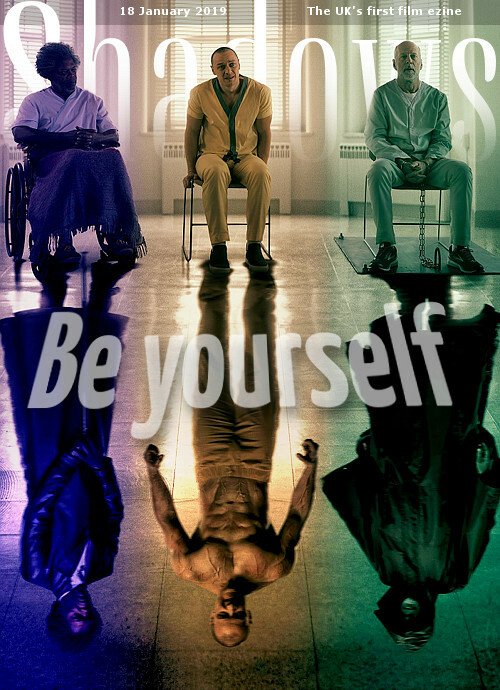 The one big movie I saw this week was M Night Shyamalan's Glass, which brings together two of his earlier films (2000's Unbreakable and 2017's Split) to deconstruct superhero mythology. It's creepy and almost startlingly serious, with meaty performances from leads James McEvoy, Bruce Willis and Samuel L Jackson. Tom Everett Scott stars in the high-concept comedy I Hate Kids, which is amusing but never very funny. James Franco has a brief role in Don't Come Back From the Moon, an elusive but compellingly well-made drama set in the California desert. The Hole in the Ground is an Irish horror movie that's scary but a bit thin. And Pond Life is a lushly shot British drama featuring a superb ensemble of teen actors over a summer of yearning. I attended the event at which the British Board of Film Classification announced its new guidelines this week. Every five years they canvas more than 10,000 people around the country to update what people expect from the UK's film ratings system. The changes are intriguing, with harder lines taken toward sexual violence and discriminatory language and imagery. This coming Sunday is the 39th London Critics' Circle Film Awards, which I chair. I've been rather swamped with organising that over the past few months, and especially this week. Look for a report with pics next week. I also have some screenings lined up, including Jonah Hill's Mid90s, Alex Lawther in Old Boys, the Polish drama Nina and a doc called ParTy Boi.